At one of the Scripture Union meetings, the Late Rev. Francis Akwasi Amoako, who was already an evangelist, announced that prayer was the foundation leading to greatness and success of Jesus’ ministry, and was therefore looking for volunteers to pray together specially at night, just as Jesus did. Members of the scripture Union who responded to this calling and later became the core members of B’ham were Elvis Asare Bediako, now Archbishop Akwasi Asare Bediako – General Overseer of Resurrection Power & Living Bread Ministries International, Richard Owusu, now Rev.Richard Owusu – Deputy General Overseer of Resurrection Power & Living Bread Ministries International, Mrs. Sandra Attakorah, the Late Rev Bernard Asamoah of Assemblies of God Church, Peter Baidoo and Joyce Tuffour, all under the leadership of the founder, the Late Rev. Francis Akwasi Amoako. The group had its prayer meetings in a cocoa farm at the outskirts of Santasi. They were later joined by members of the singing band of the local Methodist church for unity of purpose – spreading the Gospel of Jesus Christ who in their zeal to fulfill the Great Commission, periodically organized “dawn broadcast” to preach to the local people. The Late Rev. Amoako and some who were members of both the Scripture Union and the Singing Band of the Methodist church had an encounter with the fetish priest of Santasi, which displeased the leadership of the Methodist Church. This led to the resignation of the members belonging to the local Methodist church. They however continued with the prayer meetings in the cocoa farm under the trees. The leadership of the group was made up of the Late Rev. Francis Akwasi Amoako (Director and Founder), Akwasi Asare Bediako (Deputy Leader), Richard Owusu, (Treasurer) Peter Baidoo (Secretary) and the Late Rev. Bernard Asamoah (member). As they continued to fellowship under the trees, the late Rev. Amaoko then (Brother Amoako) and those who resigned from the Methodist church joined the Assemblies of God church in Santasi. The late Rev. Amoako later became the leader of the Santasi Assemblies of God. With his evangelistic zeal and direction, he opened three more branches under his wing led by Rt. Rev. Akwasi Asare Bediako then Brother Elvis (Adiembra Assembly), Rev. Richard Owusu then Brother Owusu (Hemang Assembly) and the late Bernard Asamoah then Brother Asamoah (Trede Assembly). The Lord used this group so much so that the leadership of the Assemblies of God Church, Rev. 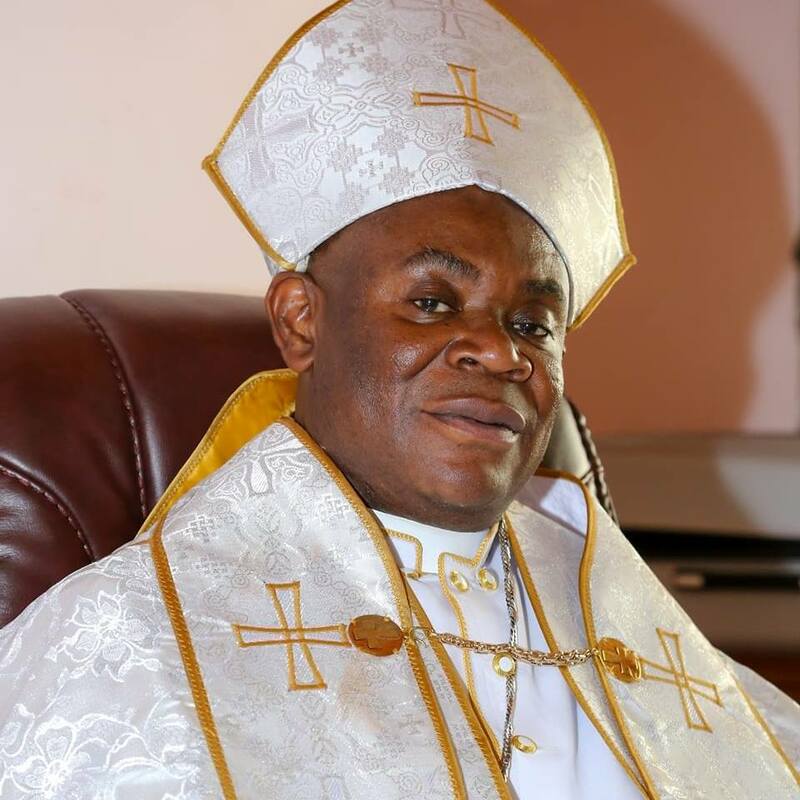 Danquah – Superintendent of the Southern Ghana Assemblies directed that the late Rev. Amoako and his other leaders attend Bible School in order to become Pastors of the churches. This directive was however not acceptable to Rev. Amoako and his other leaders. The Late Asamoah however accepted the directive and upon completion of the Bible School, was ordained a Minister of Assemblies of God Church until his death. The refusal of the late Rev Amoako, Brother Elvis and Brother Owusu to attend Bible school led to the group losing recognition with the Assemblies of God Church. 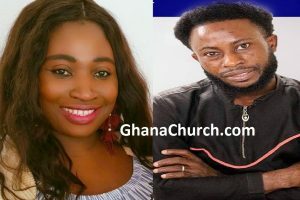 Following persistent harassment and innuendos, the leadership of the group withdrew from Assemblies of God Church in 1983 and did not belong to any parent church until Living Bread Christian Centre was established. The group under the name B’ham continued as a non-denominational worship centre at Santasi, winning souls and sending new converts to various churches especially the Assemblies of God church. In 1985, due to mispronunciation of the abbreviation of Bethlehem Evangelistic Group (B’HAM) as BELAM, the leaders agreed and changed the name of the group to Resurrection Power Evangelistic Ministries. 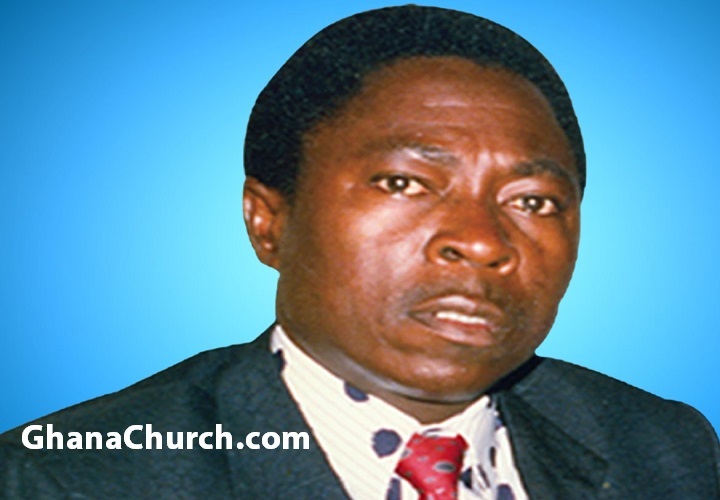 In 1987, Evangelist Akwasi Asare Bediako had a vision to establish a church. He conferred with Evangelist Richard Owusu and they both informed the late Rev. Amoako but he declined the suggestion because that was not his calling. Evangelist Asare Bediako was patient and respected the view of his leader. He however continued in prayer concerning the vision. Meanwhile, the fellowship continued to grow in Ghana. In 1989, after nearly two years of prayer, the late Rev. Amoako gave Rev. Akwasi Asare Bediako permission to establish the church when he realized that some of the new converts were staying away from going to church. With massive support from Rev. Richard Owusu, Rev. Adu Gyamfi, Rev. Nana Osei, and Rev. Kwame Wusu, LIVING BREAD CHRISTIAN CENTRE was established and adorned at Achimota Forest in Accra. The Kumasi branch was established one week later. A few months later within the same year, Rev. Asare Bediako had a vision to expand the church abroad, specifically in Amsterdam – Holland. He shared this vision with both the late Rev. Amoako and Rev. Richard Owusu who both welcomed it. Necessary steps were taken and the Amsterdam Branch was birthed, followed by a London branch, all in December 1989, just before Rev. Amoako was taken into glory. The late Rev. Amoako, Founder and Leader of Resurrection Power Evangelistic Ministries was the leader of the church until the LORD called him home to eternity in March 1990. The then Deputy Director Rev. Akwasi Asare Bediako of Resurrection Power Evangelistic Ministries took over as the General Overseer of the two ministries. Richard Owusu who was the Associate Director and a member of the core group and executives of the fellowship became the Deputy General Overseer. In 1993, the two ministries were registered as one church under the name RESURRECTION POWER & LIVNG BREAD MINISTRIES INTERNATIONAL. Meanwhile, some of the overseas Fellowship branches which later became churches still maintained the name of Resurrection Power Evangelistic Ministries. To date, there are over one hundred and fifty branches of the Church Worldwide. The Late Rev. 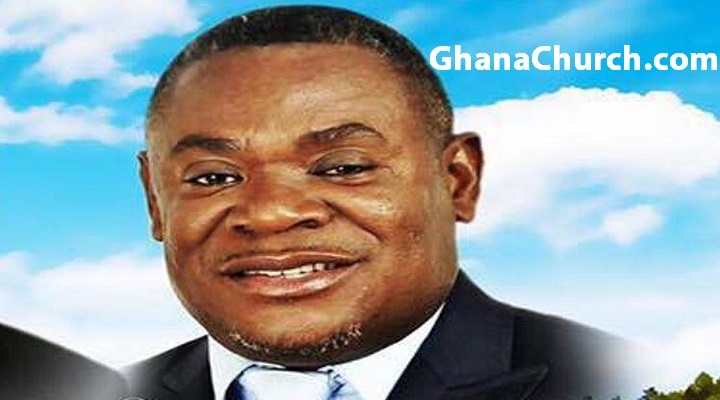 Francis Akwasi Amoako – Founder of Resurrection Power and Living Bread Ministries Int. The Logo of the Ministry shall be an open Bible with a flame of fire over it, and with the resurrected Christ over the flame. The flame and the resurrected Christ are surrounded by a red arc which rests on the Bible. Corporate Identity: Resurrection Power Church is a Pentecostal and evangelical church that believes in the death and resurrection of Jesus Christ. Corporate Mission: the mission of the Ministries is to accept the challenge of our Lords commission to propagate the Gospel of our Lord Jesus Christ in the power of the Holy Spirit in Ghana, Africa and other parts of the world. Corporate Vision: is to draw all men unto Christ irrespective of culture, color or race. Corporate Climate: unity and togetherness, everyone is equal in the sight of God and therefore is treated as such in the ministry. Low power distance and family like atmosphere. We, the members of the Resurrection Power Evangelistic Ministries and the Living Bread Christian Centre throughout the world, our aim is to effectively execute our part of the Great Commission given by our Lord Jesus Christ to take the Gospel to all parts of the earth to win souls for the Kingdom of God. We believe in the divine infallibility of the Holy Scripture as the word of God, its supreme and final authority. We believe that the Bible clearly teaches believers to tithe their income (Gross Earnings) unto the Lord. There are also free will offerings made for advancement of the Lord’s work. (Lk. 6:38, Gen. 4:20, Mal. 3:10, II Cor. 9:1-9, Heb. 7:1-4). We believe that the healing of sicknesses and diseases are provided for God’s people in the atonement. Yet the ministry is not opposed to hospital (Medical treatment. (1 Jn.3:18, 1 Kings 13:16, Acts 10:38, Iss. 52:4-5; Matt. 6:17; Mark 16:18; Janes 5:14-15). We believe that Holy Matrimony is an institution ordained by God for mankind and that it’s binding until death. We therefore believe in monogamy only, that is a husband of one wife and it must be made honorable before all. (Matt. 2:14-17, Heb. 13:4; Matt. 5:31-32, Mark 10:4-9, Matt. 19:3-9; Rom. 7:2; 1 Cor. 7:1-16). We believe in the operations of the five (5) fold ministries and not necessarily in the hierarchical order.